This guide will explain the loot forge. 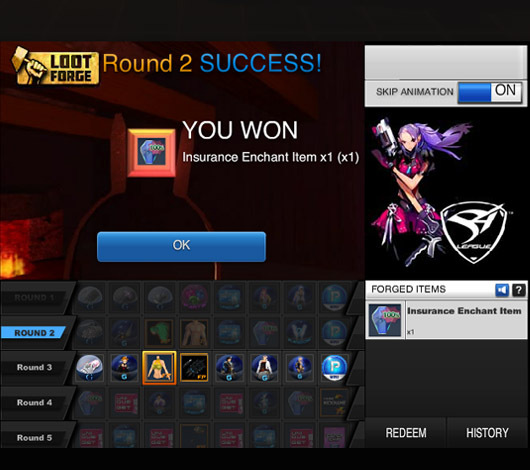 The following screenshots will show how the loot forge is working. 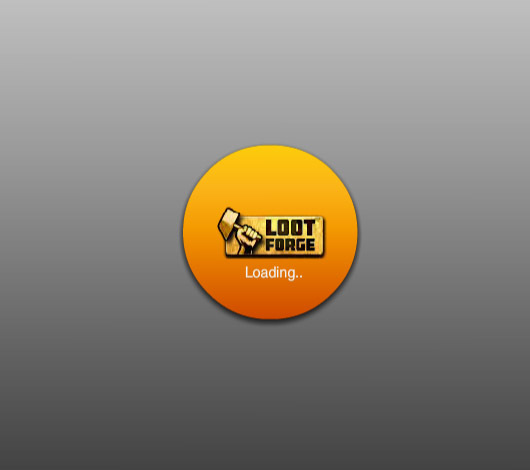 You have to be logged in to use the loot forge. 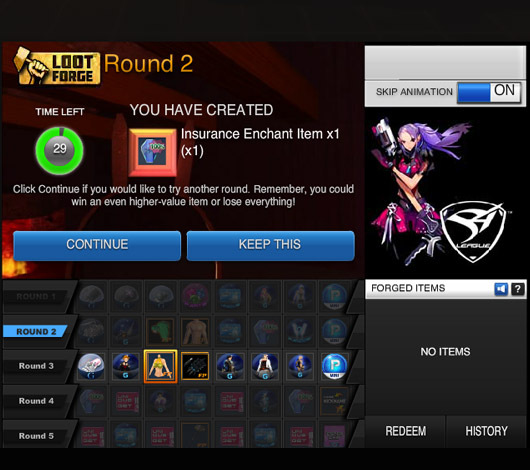 As soon as you have paid 299 AP to use the loot forge, you will receive a random item out of the first round items. This item can be either redeemed to get it or can be used to play the next round. You do not have to pay AP again to play, as the item from round 1 is your new "payment". If you win in the second round, this item would be the new "payment" for round 3. This continues until you reach round 5. 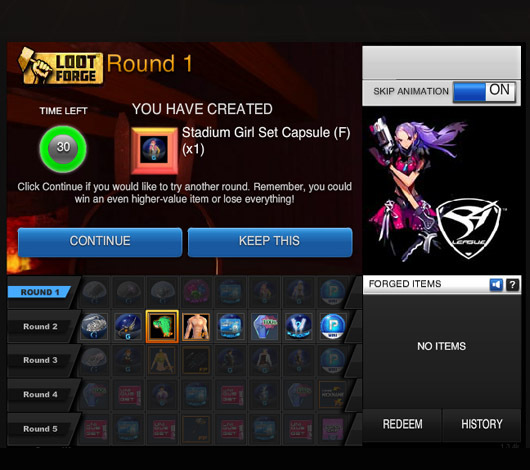 The chance to receive an item in round 1 is 100%! You can keep this item if you click on "redeem", then it will be sent to your inventory. If you want to continue, you always have to use the item from the previous round as "payment", therefore the item will be gone afterwards. If your try will be unsuccessful you will leave the forge empty handed.